W. W. Worthington Memorial Trophy Derby Carry the Day! 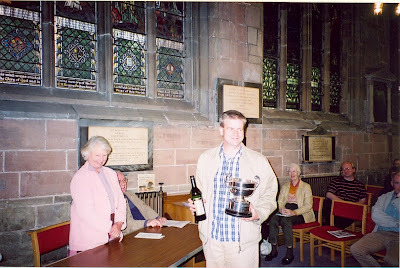 The 23rd ten bell striking competition for the W. W. Worthington Memorial Trophy was held at Tamworth on Saturday 27th September 2003. 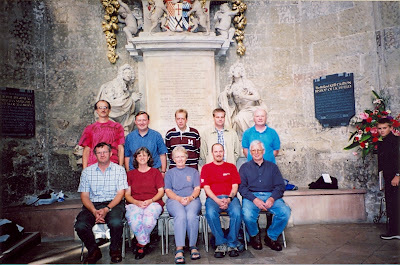 The day went off very well and brought forth many favourable comments from the ringers taking part. Bands travelled from York, Ipswich, Derby, Leicester and Birmingham to compete in the contest on what turned out to be a pleasant sunny afternoon. Paul Larner, a lay minister at Tamworth, welcomed the ringers with a brief summary of some of the interesting features of the church and made the draw for the order of ringing. During the afternoon old photographs from all the competitions since 1978 were on display in three separate albums, together with copy certificates from the last competition. Alan Ainsworth, assisted by his wife Marion, judged the test piece of 435 Stedman Caters from a small turret room on the side of the impressive Tamworth tower. This is a longish test piece, and the first course was not counted in the marking. In giving his verdict he noted that all the afternoon’s ringing had been very pleasant to listen to. He went on to say that the band that rang first (St. Martin’s Guild) started well, but became a little hurried and the tempo of the leading varied. The second band (St. Mary-le-Tower, Ipswich) rang at much the same speed as the first, but the ringing lacked precision and tended to go into a helter-skelter mode. The band to ring third (St. Wilfrid. York) turned out good, precise ringing, slower than the previous two. with tight handstroke leading. There was also a trip in the unjudged part of the touch. 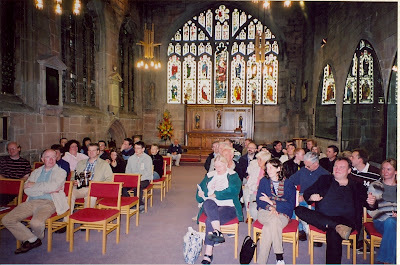 The fourth band to ring (Derby Diocesan Association) adopted the slowest tempo, with wider handstroke leading. The judge pointed out that of course this was not detrimental to the marking since it is the consistency of the leading that is important, not the choice of wide or close handstroke gap. The band to ring fifth (Leicester Diocesan Guild) adopted a quicker tempo and unfortunately a trip after the queens row marred an otherwise very good and potentially winning performance. Placing the bands in order the judge then gave the result as: 1st: Derby Diocesan Association 4.5, 2nd: Leicester Diocesan Guild 5.5, 3rd: St. Wilfrid, York 8, 4th: St. Martin’s Guild, Birmingham 19, 5th: St. Mary-le-Tower, Ipswich 25. Mrs Valerie Worthington, the president of the Midland Counties Guild presented the trophy, a silver rose bowl, to Paul Jopp, conductor of the winning Derby band. A bottle of wine donated by the previous winners, St. Mary Redcliffe Guild (who could not enter this time) was also given to the winning band. This win pushes Derby into the lead over the whole span of the contest, now having won it 6 times to St Martin’s 5. 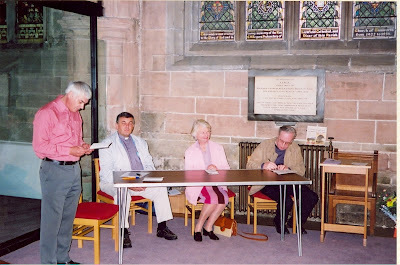 In summing up for the Midland Counties Guild Alan Burbidge expressed the view that, although the contest had not been held in the previous two years, there was very, good reason to re-establish it on an annual basis; firstly as the memorial that it clearly is to W. W. Worthington, first president of the Guild and grandfather of Mrs Worthington’s late husband Ben, and secondly because of the effect that striking contests have in focusing attention on good striking. The difference between mediocre striking: and really good striking is tremendous and worth pursuing at all times. Before closing the proceedings Alan Burbidge said how good it was to see the chairman of the Guild, Ray Welton, present at the competition. Unfortunately he is now confined to a wheelchair, but had still managed to come over from Burton-upon-Trent. He then went on to thank the Revd. Alan Barrett, vicar of Tamworth for the use of the bells and church, (the Revd. 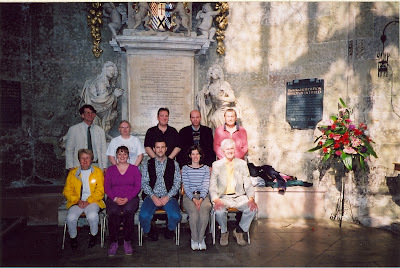 Barrett had welcomed the ringer prior to the giving of the judge’s results), Andrew Else, tower captain, and Kay Else, Barbara Yearl and Virginia Oates for providing tea and biscuits during the afternoon. He added his thanks to those given earlier by Ray Wellon to Mrs Worthington for coming down from Richmond, Yorkshire, to present the trophy and he presented her with a bouquet of flowers as a token of appreciation. The day thus ended on a fine note, with many ringers saying how much they had enjoyed it and looking forward to another contest next year. The date has been fixed as Saturday, 25th September 2004 again at Tamworth. 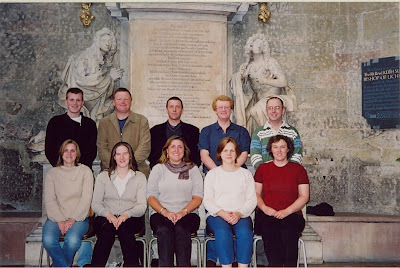 Andrew J Preston, David G Carling, Angela S Franklin, Nicola D Mason, Gail L Wade, Richard J Angrave, Mark J Pendery, Mark A Boylan, Terry M Astill, Andrew W Harvey. 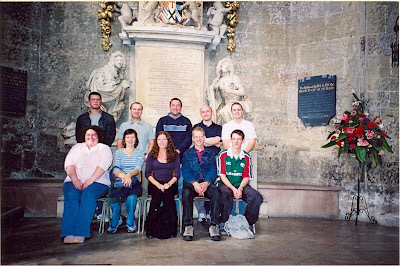 Roderick W Pipe, Susan J Watson, David J Pipe, Cecilia E C Pipe, Christine Mills, Richard L Jones, Frances Dodds, Richard B Grimmett, Paul E Bibilo, John A Anderson. 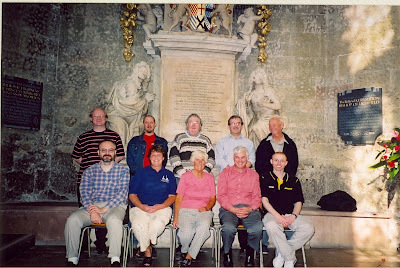 Christopher A Munnings, Alan S Burbidge, Helen Price, Diana M Pipe, James A Smith, Simon P Griffiths, Iain W Mitchell, Donald T Finnemore, Owen P Claxton, Donald C Price. Paul Jopp (Derby) collecting the cup. 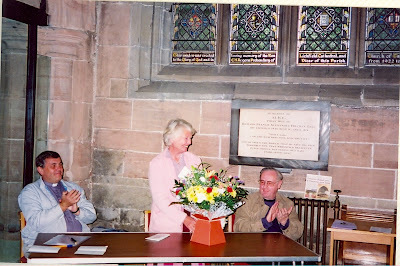 Mrs Worthington presented with flowers.